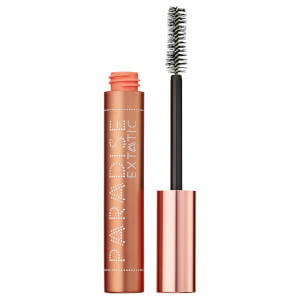 Accentuate your peepers with the L’Oréal Paris Paradise Waterproof Mascara; a volumising formula that creates longer, fuller-looking lashes. Fitted with an ultra-soft brush, the black mascara applies effortlessly and captures even the tiniest of eyelashes for maximum impact and definition. 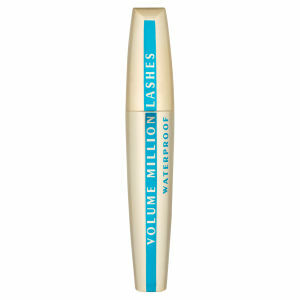 Lashes are intensified with a flake-free, smudge-proof finish. Penteie as pestanas com a escova ultrasuave, com movimentos para trás e para a frente, da raiz até às pontas. Aplique várias camadas para ainda mais volume e uma fixação que dura todo o dia. Isododecane, Cera Alba / Beeswax, Copernicia Cerifera Cera / Carnauba Wax, Disteardimonium Hectorite, Dilinoleic Acid/Butanediol Copolymer, Aqua / Water, Allyl Stearate/VA Copolymer, Oryza Sativa Cera / Rice Bran Wax, Paraffin, Alcohol Denat.,Polyvinyl Laurate, VP/Eicosene Copolymer, Propylene Carbonate, Talc, Synthetic Beeswax, Ethylenediamine/Stearyl Dimer Dilinoleate Copolymer, PEG-30 Glyceryl Stearate, Candelilla Cera / Candelilla Wax, Ricinus Communis Seed Oil / Castor Seed Oil, Panthenol, Maltodextrin,, Pentaerythrityl Tetra-di-t-Butyl Hydroxyhydrocinnamate, BHT, Centaurea Cyanus Flower Extract.